Yesterday, we asked you to take part in a short survey about copyright law. (If you haven’t done it yet, please do! And tell your friends to, too!) Today, as Copyright Week draws to a close, we want to focus on copyright and free speech. Fanworks are the very essence of free speech: Fans saying what they need to say, building community through self-expression. A few years ago, when we asked you to tell us your stories of how fanworks have helped you, you told us powerful stories about how fanworks helped you find your voices, your skills, and yourselves. We used those stories of empowerment and self-expression to help advocate for balanced copyright laws that preserve the relationship between copyright and free expression. How does copyright law relate to free expression? Copyright law is a double-edged sword. On one hand, copyright law promotes free expression: Authors of all kinds, from bestselling novelists to fledgling fanwork creators, can feel comfortable expressing themselves because they know that they own the copyright in what they produce, and can use copyright law to prevent people from profiting off of their expression without permission. But on the other hand, this same protection can hinder free expression, if copyright owners use it to prevent people from talking about or building upon their works. That is why copyright doctrines like Fair Use and Fair Dealing are so important: they help authors take advantage of the safety of copyright law while still allowing people to comment and build upon existing works without having to get permission. The Organization for Transformative Works believes that copyright law should promote free speech, not restrict or suppress it. And we want to know what that means to you! In the comments below, or in an e-mail to legal [at] transformativeworks.org, tell us how creating and consuming fanworks has helped you express yourself. We will use your comments and e-mails to continue our advocacy work. 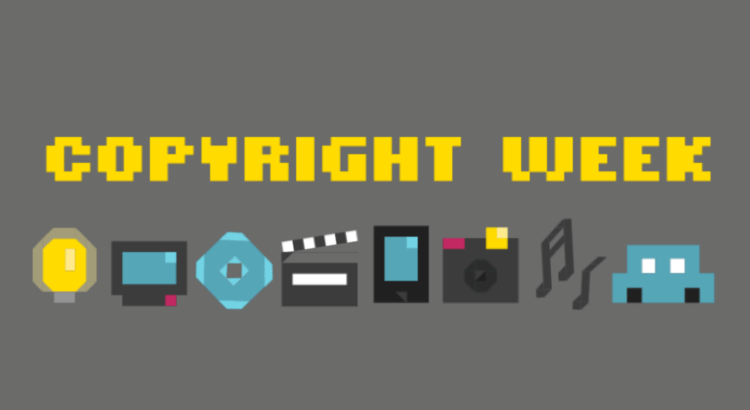 It’s Copyright Week, a series of actions and discussions supporting key principles that should guide copyright policy. Every day this week, various groups are taking on different elements of the law, and addressing what’s at stake, and what we need to do to make sure that copyright promotes creativity and innovation. Most laws don’t get even one “week” of their own, but copyright law gets two: Copyright Week in January, and Fair Use Week in February. The OTW is taking part in both, so stay tuned! You can learn about the OTW’s activities concerning copyright law and fandom, or ask questions, from the OTW’s legal team. Find out more at http://transformativeworks.org/projects/legal. Help the Organization for Transformative Works by taking a Survey!